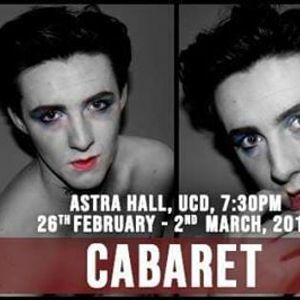 UCD Musical Society is proud to present our 10th Session Semester 2 Show, Cabaret! Set in 1931 Berlin as the Nazis are rising to power, Cabaret focuses on the nightlife at the seedy Kit Kat Klub, and revolves around American writer Cliff Bradshaw and his relationship with English cabaret performer Sally Bowles. Overseeing the action is the Master of Ceremonies at the Kit Kat Klub. Tickets are available online now through the following link! 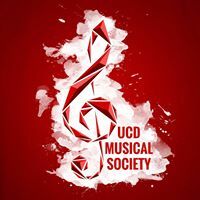 Tickets are €10 for UCD Musical Society members, €12 for non-members, and €15 for adults. Tabled Seating - An Immersive Experience: Get the ultimate Kit Kat Klub experience by booking a tabled seat! Tickets are €15 and we have a very limited amount available so book early to avoid disappointment! For bookings of 10 or more people, please email dWNkY2FiYXJldCB8IGdtYWlsICEgY29t to avail of a group discount. Please note that there is a 15+ age restriction on this show. The show runs from Tuesday 26th February to Saturday 2nd March in Astra Hall in the UCD Student Centre, and it starts at 7:30pm each night. Our Gala Night performance will take place on the Thursday, with all welcome to stay on after the show for refreshments! Please do not hesitate to get in touch with any questions or queries - we are more than happy to help! We are so excited for this special show and hope you are too, so get your tickets now while you can! UCD Musical Society is proudly sponsored by Bank of Ireland.